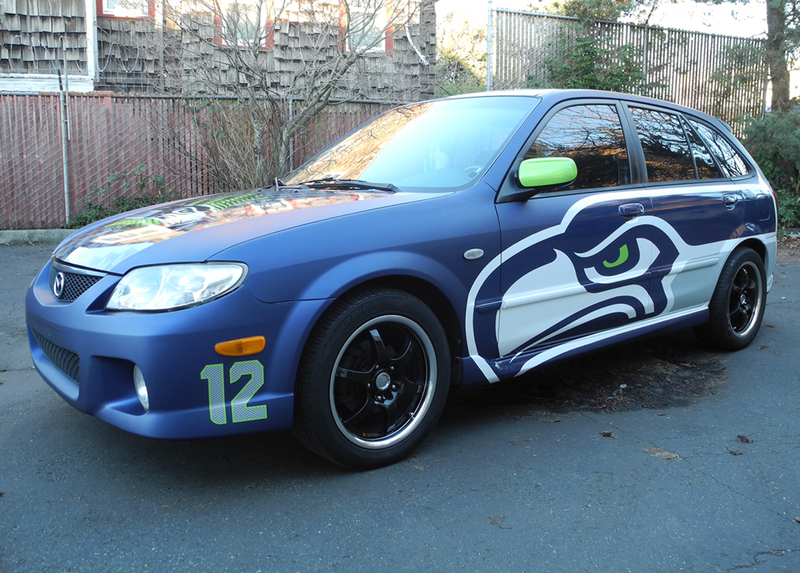 Done for a customer/diehard Seahawks fan. 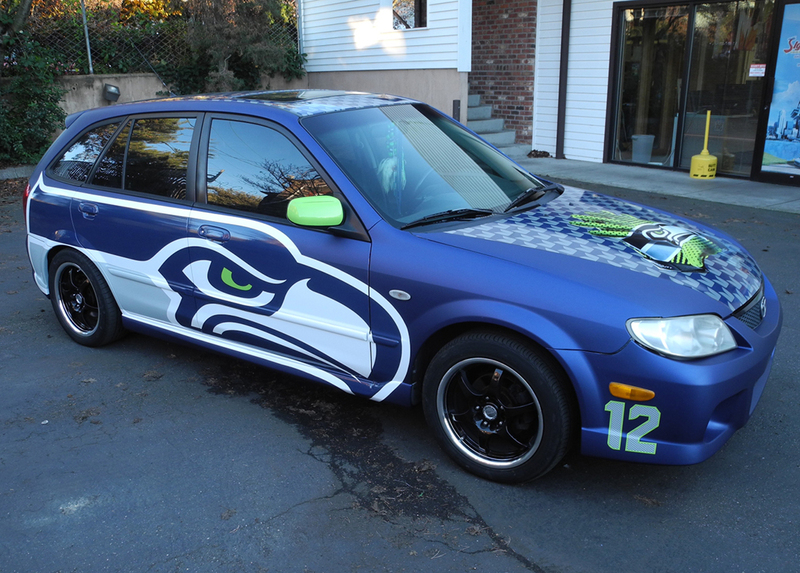 His only instructions was that he wanted it to look like the Seahawks's helmet. 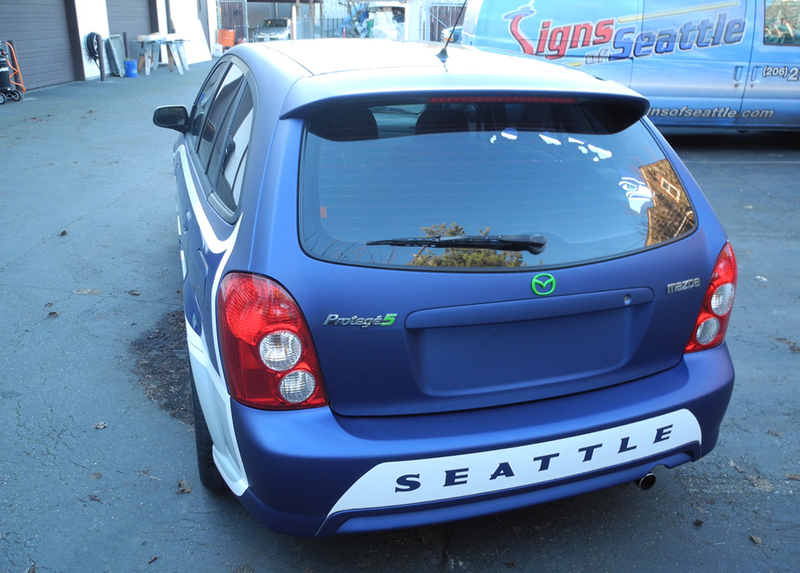 The base is matte blue metallic vinyl. 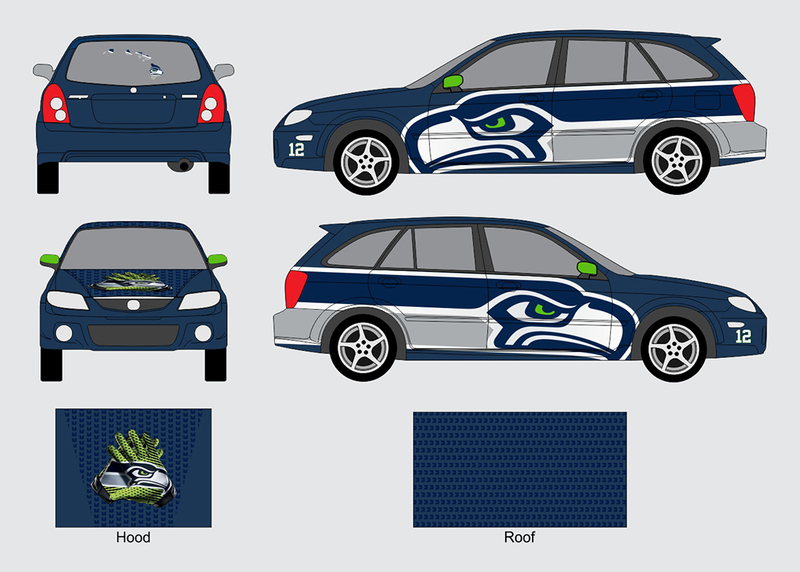 Gloss Seahawks logos on both sides, and gloss pattern on hood and roof. The gloves were a last minute addition by the customer, which we did as a seperate layer in case he wants to remove it later.